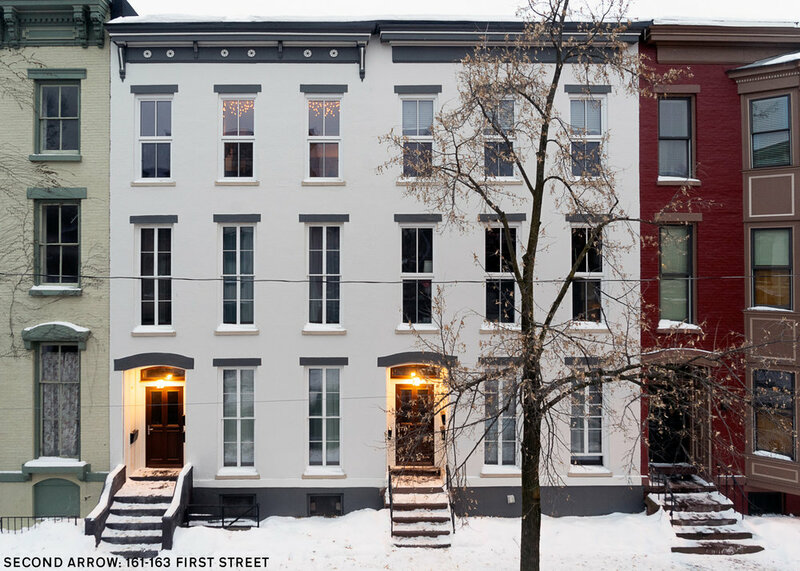 ZeroEnergy Design is proud to present a new case study for the firm’s mechanical design services, the Troy Historic Multifamily Project in the Central Troy Historic District of downtown Troy, NY. While historic preservation and net zero performance might not seem like a natural fit, this project proves that it is possible to achieve high performance and energy efficiency in older masonry structures without sacrificing the architectural features. The original Victorian-era structures consisted of two three-story walk-ups in vacant and heavily deteriorated condition. ZED’s responsibilities included specifying and designing efficient HVAC systems that would provide year-round thermal comfort along with a constant supply of fresh air, all with minimal impact on the building’s fabric and historic aesthetics. Overall, the building achieved a 90% reduction in energy consumption compared to before the renovation. The project was the result of collaboration between Second Arrow LLC, Neil Pelone Architecture, ZeroEnergy Design, RDH Building Science, LTRW Architecture & Preservation, Ethos Homes LLC, and Active Solar Development.